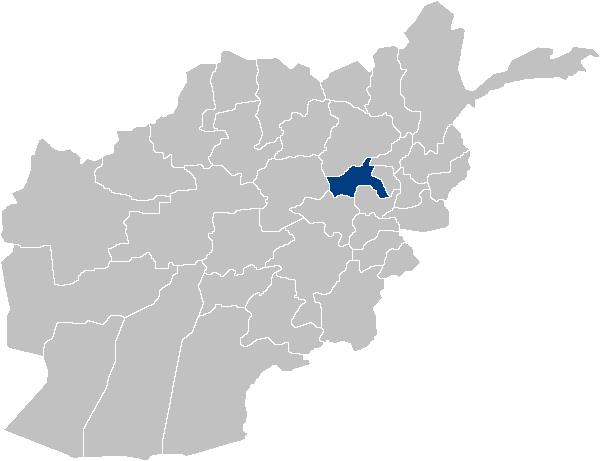 Parwan (Persian/Pashto: پروان), also spelled Parvān, is one of the 34 provinces of Afghanistan. 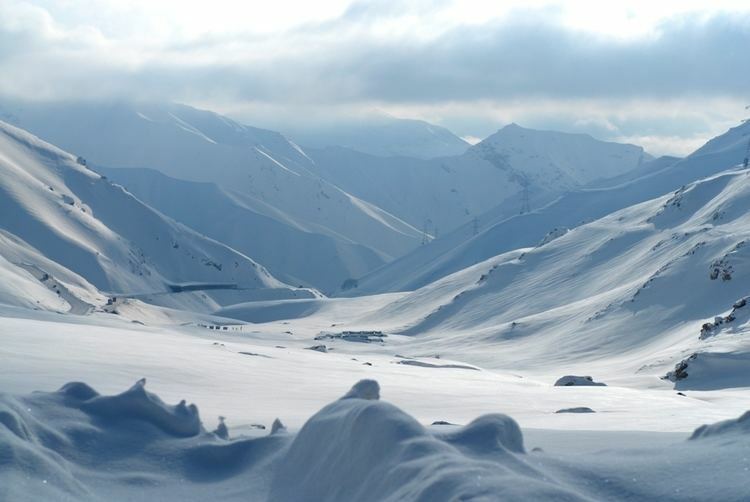 It has a population of about 631,600, which is multi-ethnic and mostly a rural society. The province is divided into ten districts. The town of Charikar serves as the provincial capital. The area was subsequently ruled by the Timurids and Mughals until Ahmad Shah Durrani made it part of the Durrani Empire in 1747. 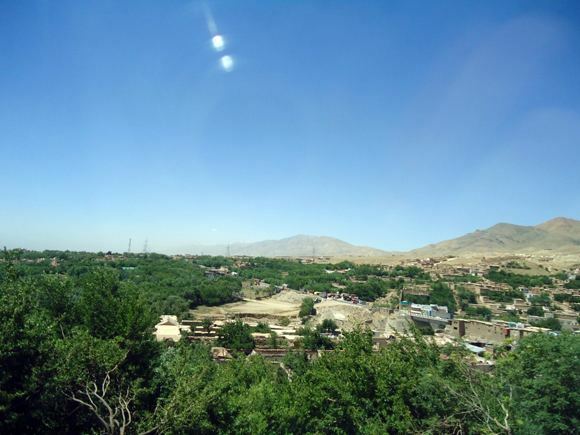 In 1840, Parwan was the site of a major battle in the First Anglo-Afghan War where the invading British were defeated. 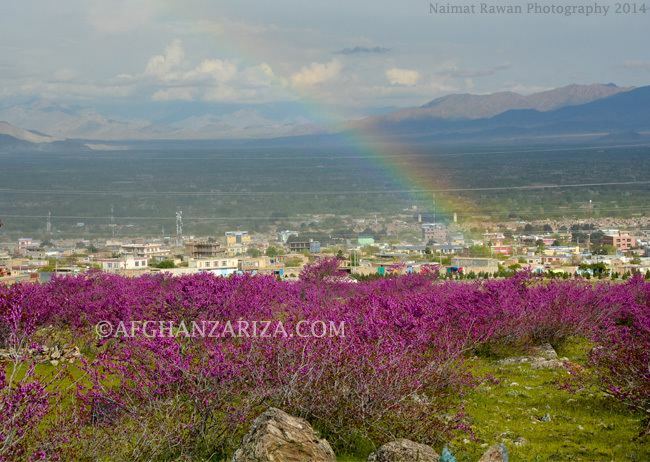 Parwan's modern history began with the construction of a new textile factory in the town of Jabal Saraj in 1937. 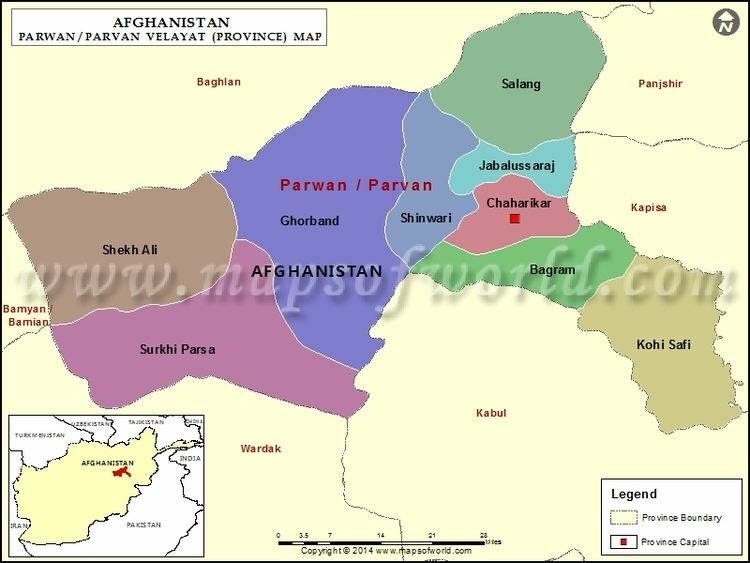 Parwan was involved in the Soviet war in Afghanistan as some of the fiercest fighting took place in the area. 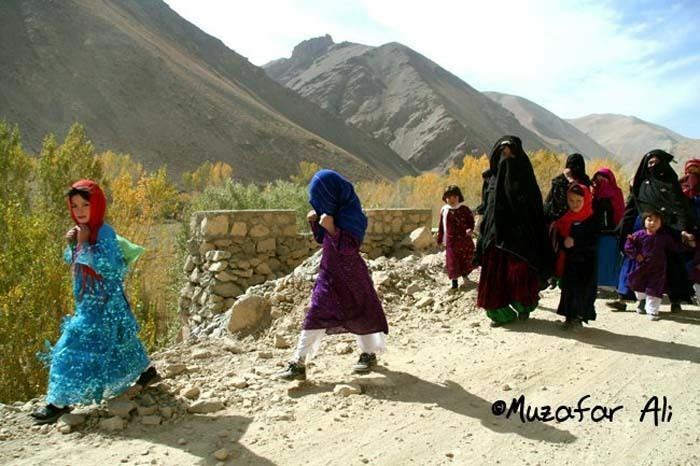 In the 1990s it was the site of heavy resistance against the Taliban. The total population of the province is about 631,600, which is multi-ethnic and mostly a rural society. According to the Naval Postgraduate School, the ethnic groups of the province are as follows: Pashtun, Tajik, Uzbek, Qizilbash, Kuchi, Hazara, and other minority groups. 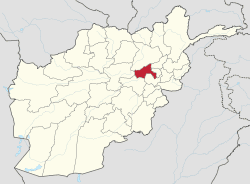 The Institute for the Study of War (ISW) states that "[t]he main ethnic groups are Pashtuns and Tajiks, but there are small numbers of Uzbeks, Qizilbash and Hazaras as well."